Natural disasters happen and they can absolutely ruin cars. Trees could fall on them. They could get swept away in floods. Forest fires could reduce them to ash. This tale, however, is one of hail, a Hellcat and a salvage title. 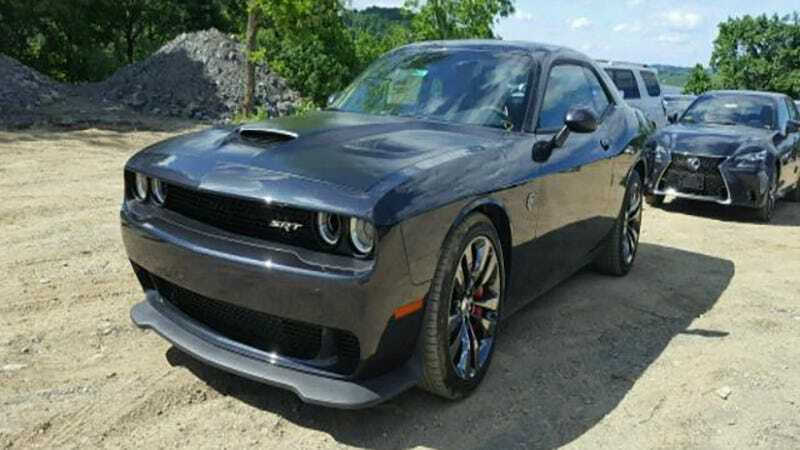 This black Dodge Challenger SRT Hellcat, which is currently listed on Copart, has only 41 miles on it and, as the listing claims, runs and drives. It was damaged primarily by hail and I guess that was enough to land it with a salvage title? Yeah, yeah, it’s an automatic, but at the time of this writing, the current bid is $47,500, which is about $20,000 off MSRP. It doesn’t look terrible from the pictures, either. I’m sorry, this is as good as the quality gets. Personally, I’m immediately suspicious. What secrets does this car have that are keeping the price low? Hmmm.